Counoise is used primarily as a blending grape in Chateauneuf du Pape. It is thought that Counoise had its birth in the Rhone Valley. Counoise does not seem to have traveled far as the grape is still used primarily in Chateauneuf du Pape and in the Languedoc along with the Provence appellations. However, the grape has its fans in other countries too. Tablas Creek, which is owned in part by the Perrin family, that also own Chateau Beaucastel maintain small plantings of Counoise in their California vineyards. The grape is also planted in areas of Washington State. Today, not much is planted. Less than .4% of Chateauneuf du Pape is devoted to the Counoise grape. Counoise and Chateauneuf du Pape are a natural combination as the grape grow best in hot, dry, gravelly soils. Counoise works as a blending grape because it adds a black pepper, cassis and floral note, along with high acidity, which gives the mostly Grenache based wines additional lift. Is also a good grape to blend with Mourvedre as it can add plum and fresh strawberry characteristics. When a producer includes it a part of their blend, it is usually a minor portion of the blend, not much more than 5%. Chateau Beaucastel maintains one of the highest plantings of Counoise in the Chateauneuf du Pape appellation as they have close to 10% devoted to the varietal. It is used in Beaucastel as well as in the famous Hommage to Perrin wine. However, the well-known Domaine de Monpertuis make a small amount of wine from the grape that is not a blend, Cuvee Counoise. The grape is planted in other southern Rhone appellations including Gigondas, Tavel and the Cotes du Rhone. 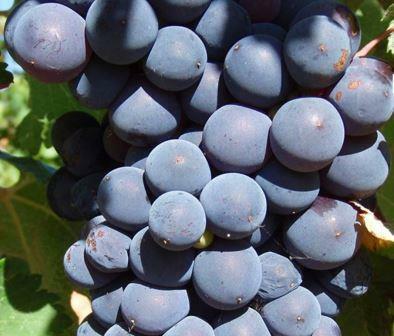 Due to its fresh, bright qualities, light body and color, proclivity to low alcohol and low tannin levels, Counoise is also used in the production of Rose’ wine in Provence. In Washington State a few producers are making wine from 100% Counoise. For example, McCrea, Wines of Substance, Canas Feast and Syncline. In California, Tablas Creek, which is owned by the Perrin Family, who also own Chateau Beaucastel make a wine from 100% Counoise in select vintages. Counoise is a good match for different grilled or roasted meats, fish, chicken, hearty sausages and stews. In Provence it is a common wine and food pairing with Tuna Niçoise.